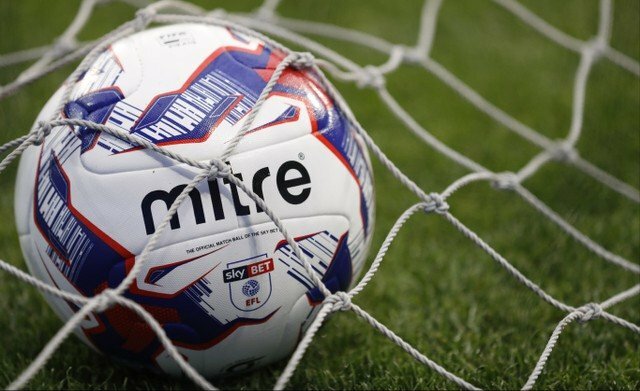 The first game of the new football season sees Rotherham United make the trip to Griffin Park this afternoon when they take on Brentford. Last time out at Griffin Park was in February 2017, a game which saw six goals. Jota scored for the hosts on thirteen minutes with Aimen Belaid making it one-one on sixty-seven minutes. Ten minutes later Nico Yennaris put the hosts back in front but three minutes from time Anthony Forde thought he’d equalised for Rotherham. In time added on Semi Ajayi was thought to have handled in the box and Jota scored from the resulting penalty to put the Bees back in front and just before the whistle signalled the end of the game Lewis Price, who was a late replacement for Richard O’Donnell who suffered a warm-up hand injury, twice saved from Sergi Canos but couldn’t do anything to stop Jota getting his hat-trick and making it four-two to Brentford. The game the season before that away at Brentford saw Alan Judge open the scoring on just two minutes but a Joe Mattock goal just after half-time equalised for the visitors. But ten minutes later Judge struck again winning the game for the Bees. Alan McCormack and Toumani Diagouraga for the hosts and Rotherham’s Richie Smallwood and Manu Ledesma saw yellow during the game. January 2015 saw the two meet at Griffin Park when a Stuart Dallas goal on fifty-seven minutes gave the hosts all three points. Adam Hammill and Richie Smallwood saw yellow cards that day. Rotherham last won at Griffin Park in League One in October 2013 thanks to a Mark Bradley goal on fourteen minutes. Referee Oliver Langford had a very busy afternoon that day showing seven yellow cards – Alan McCormack for the Bees and the Millers’ Mark Bradley, Lee Frecklington, Rob Milsom, Ben Pringle, Alex Revell and Kieran Agard. The Millers best away win at Brentford was probably on 11 November 2000 when three first half goals for the visitors saw them take all three points. Stewart Talbot opened the scoring on three minutes and scored another two minutes before the half ended with Alan Lee getting one in between. It was also the battle of the two Scott brothers – Rob being the winner against Andy that day. The first time the Millers met on Brentford soil was in the Old Division Two in August 1951 with the Bees winning the game two-nil.